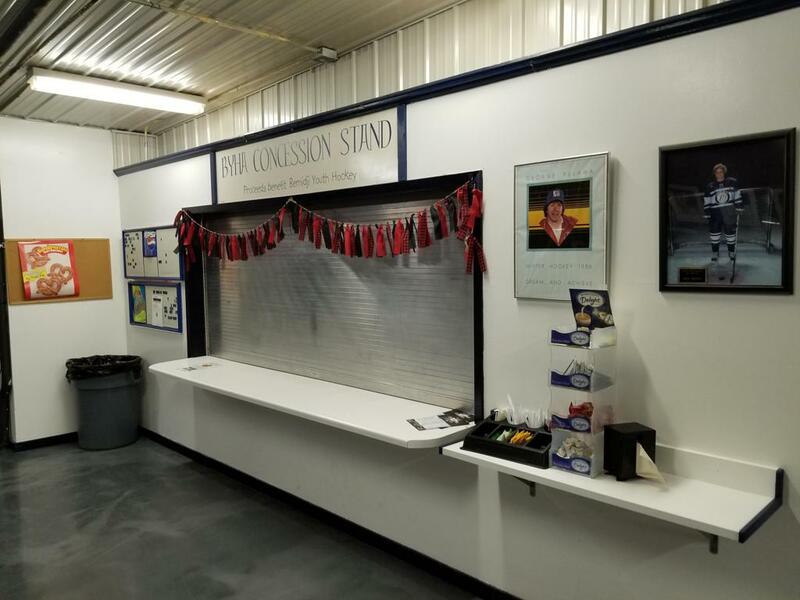 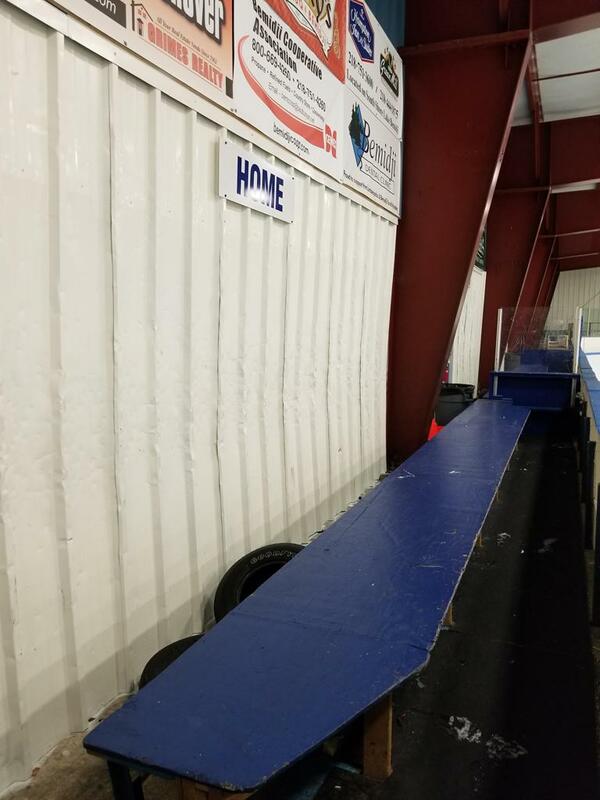 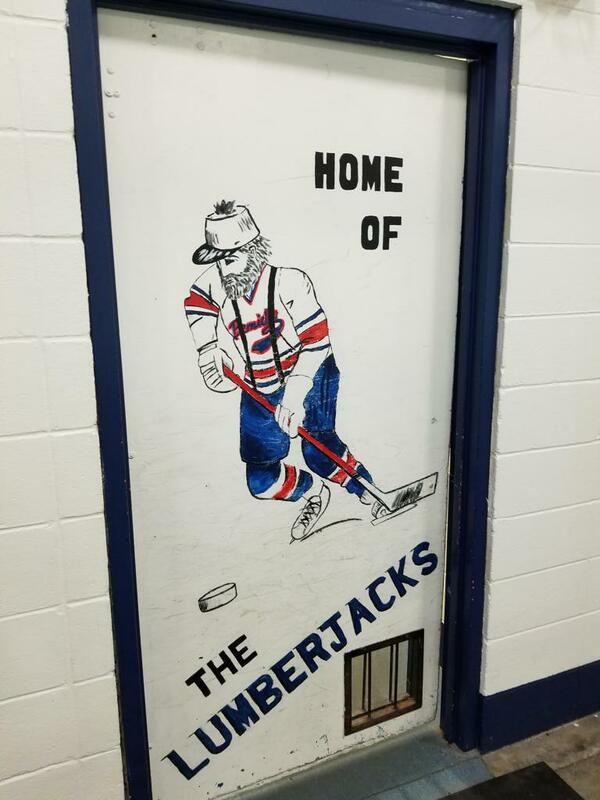 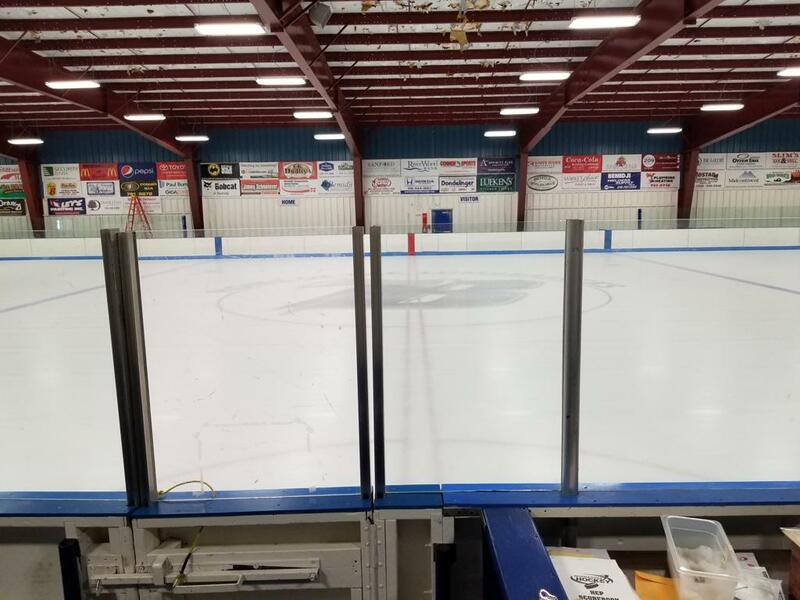 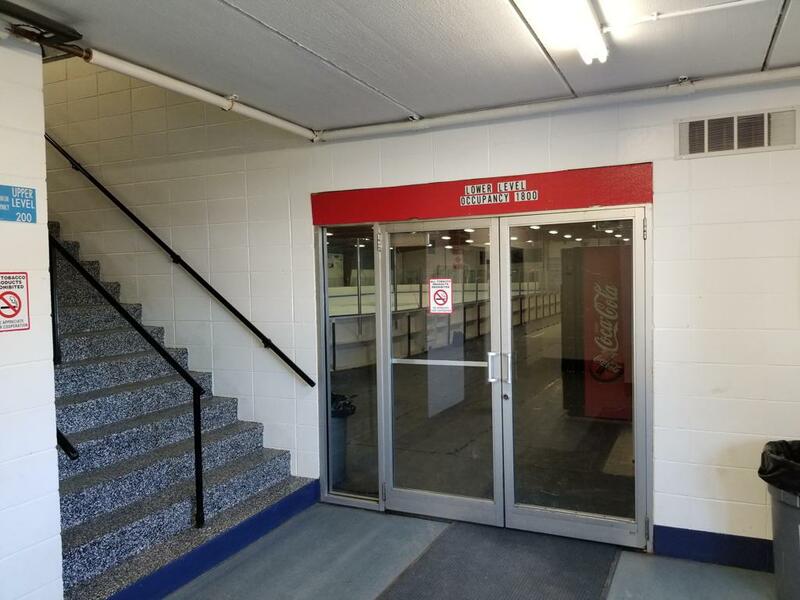 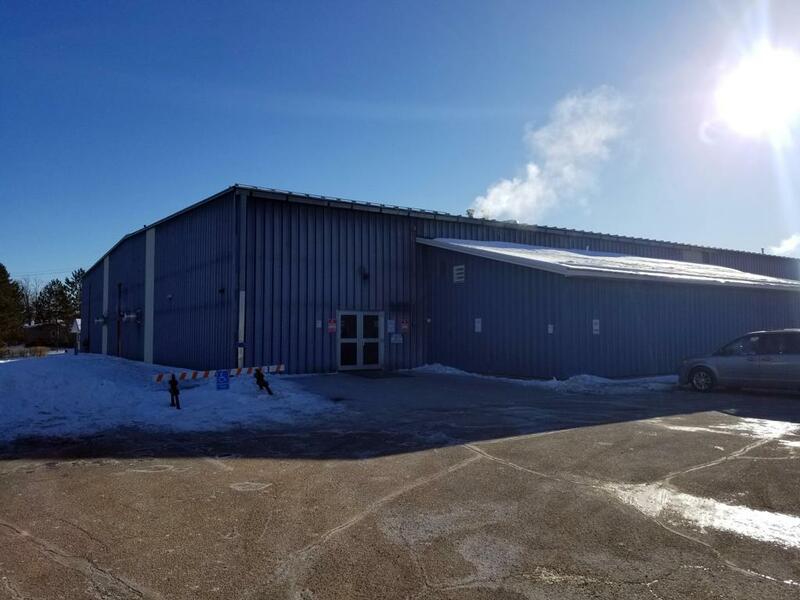 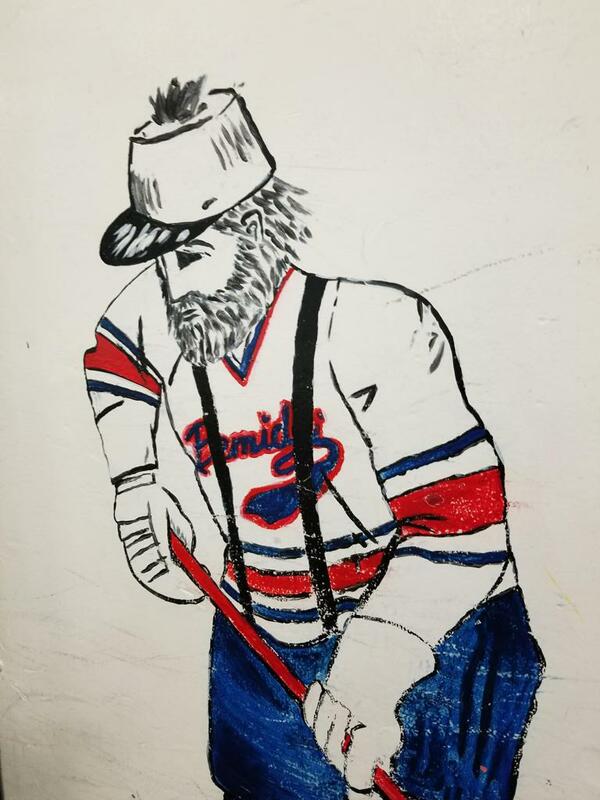 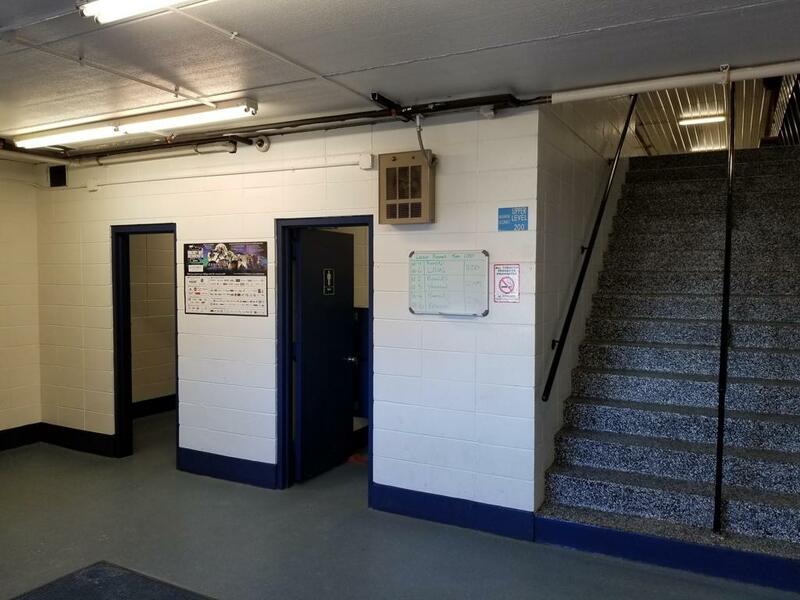 Nymore Arena is located at 200 Pershing Ave SE in Bemidji, MN and is a classic venue that opened for the beginning of the 1973-1974 season for the Bemidji Lumberjacks hockey program, and Bemidji Blues Senior Mens team. 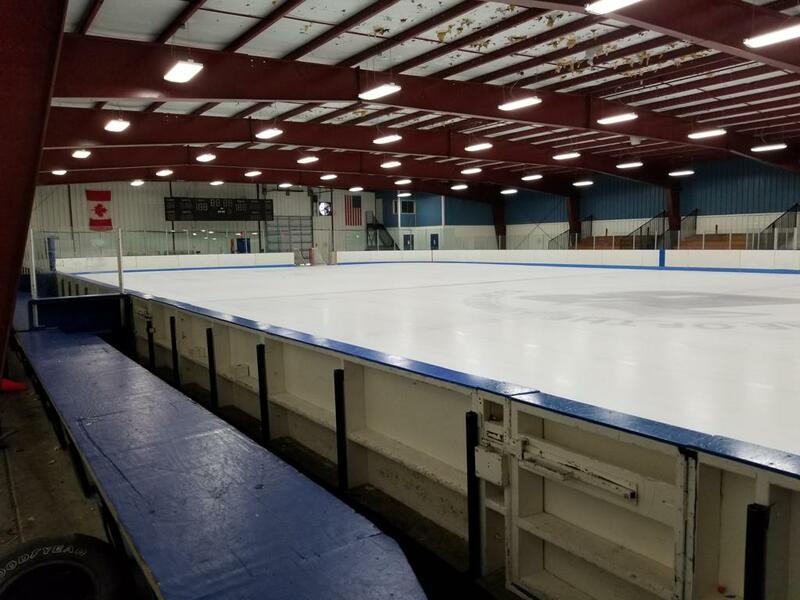 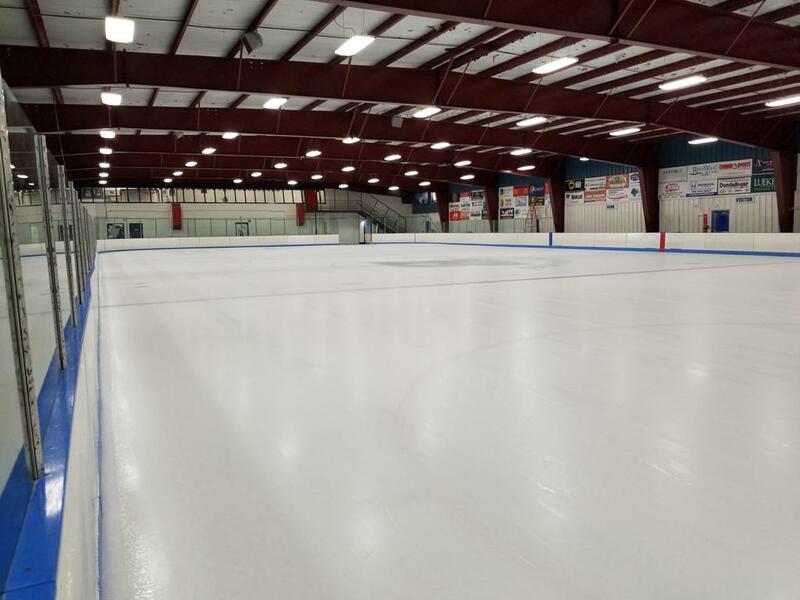 Sometimes referred to as Nymore Gardens, or the Ice Box by local hockey faithful - due in part to the arenas frigid interior temperatures during cold northern Minnesota winters, the ice is rock hard and fast. 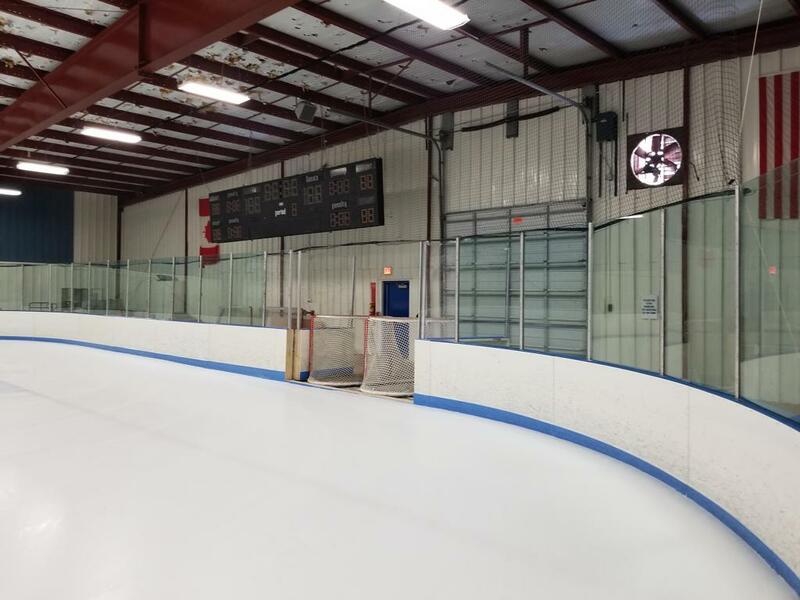 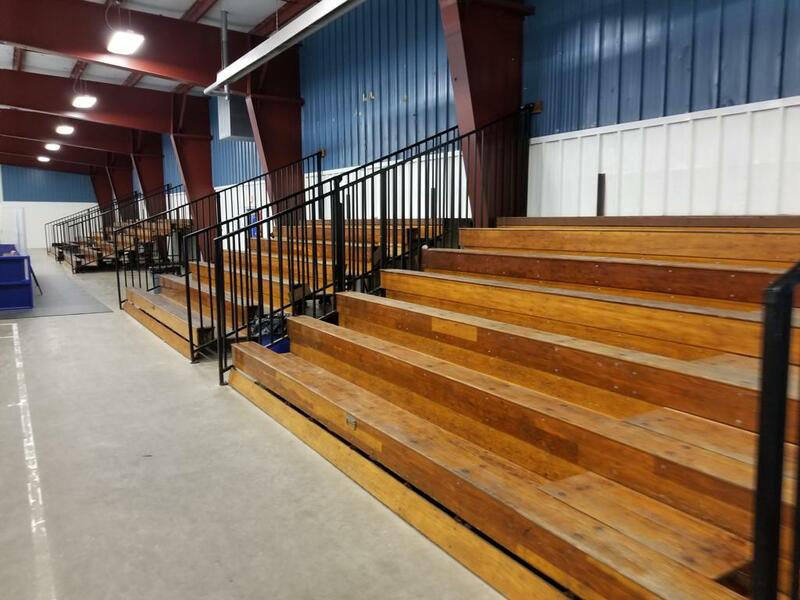 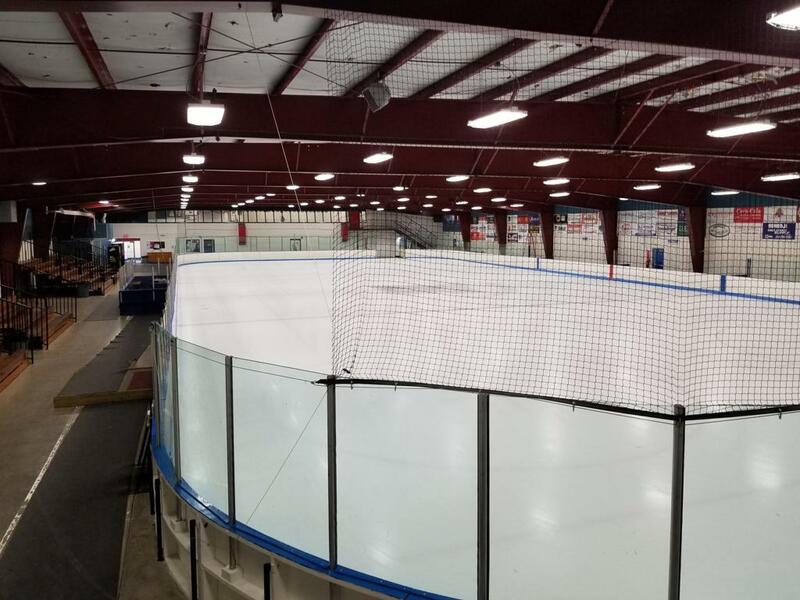 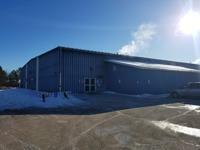 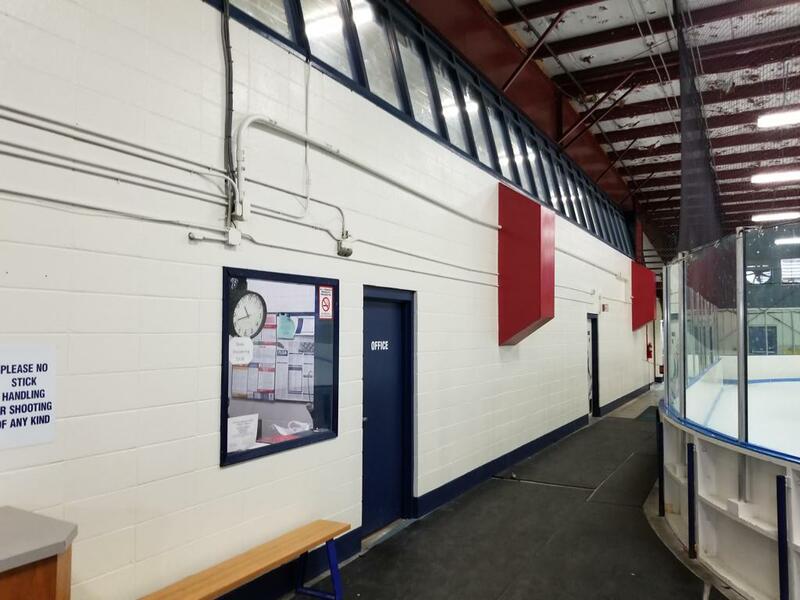 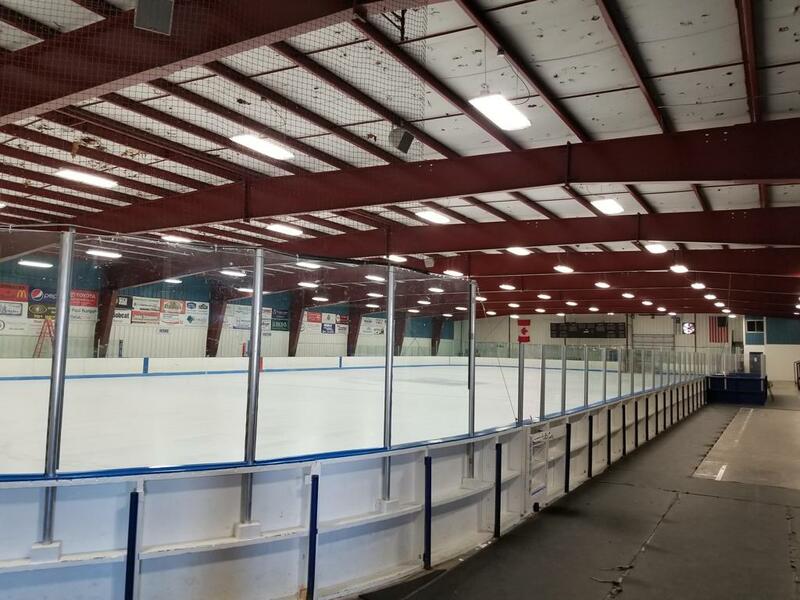 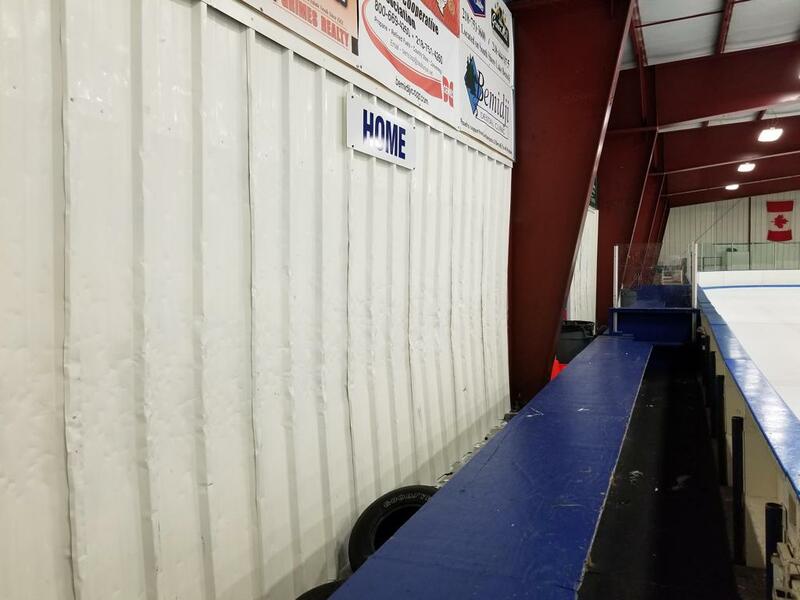 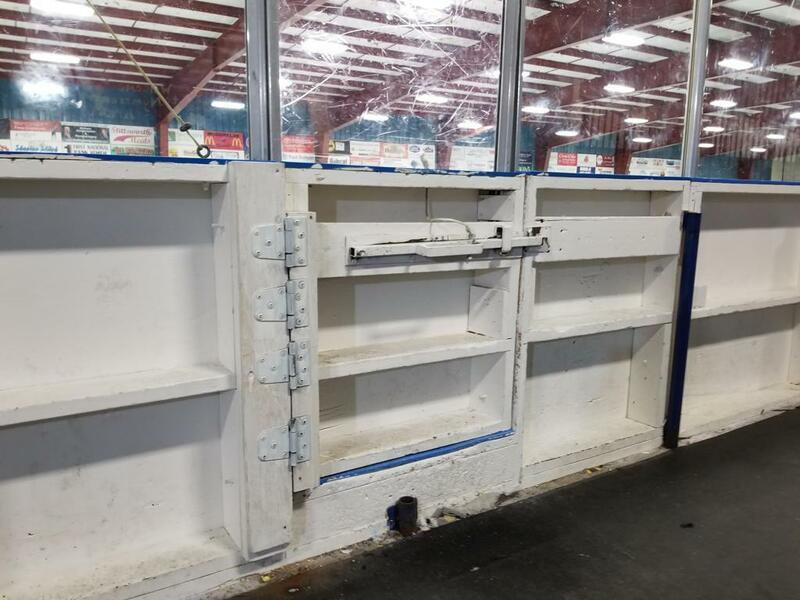 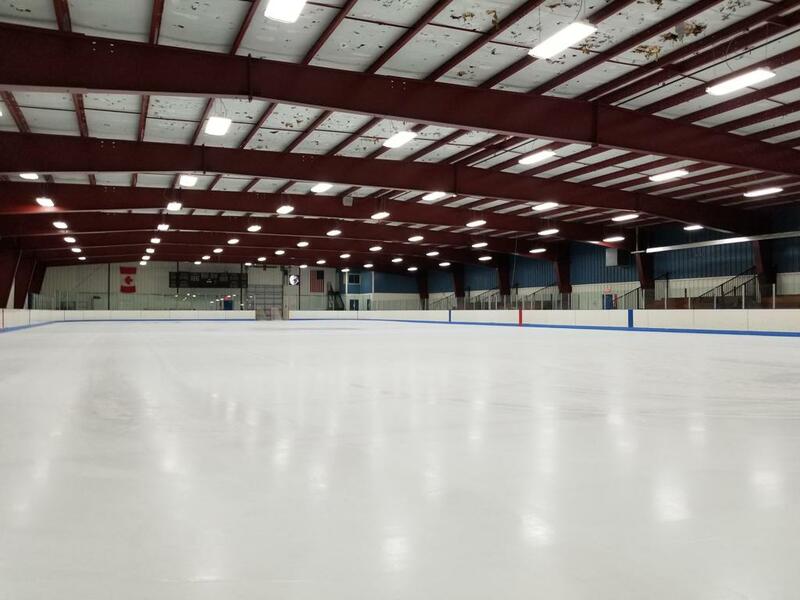 With a maximuum building occupancy for around 2000, and seating available on wooden bleachers, the building is a no frills arena with steel siding and roof, the rink inhabitants are subjected to the outdoor elements - indoors. 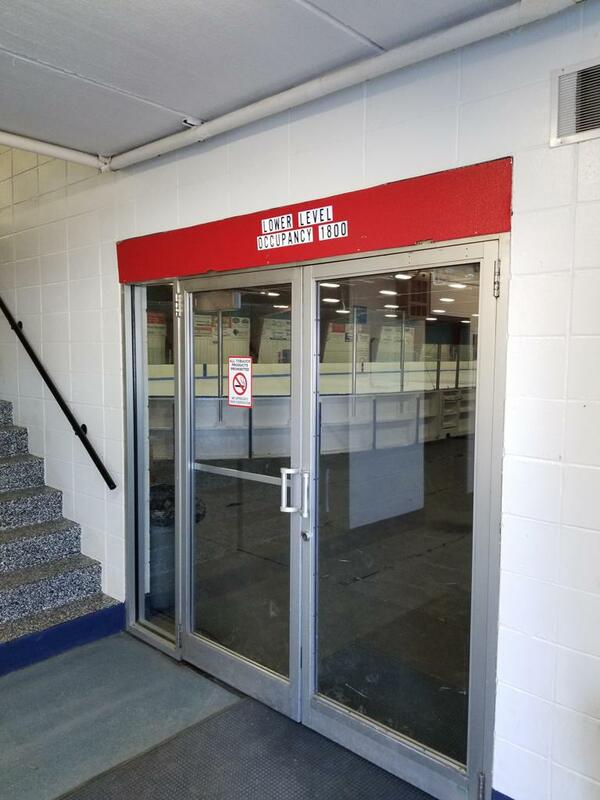 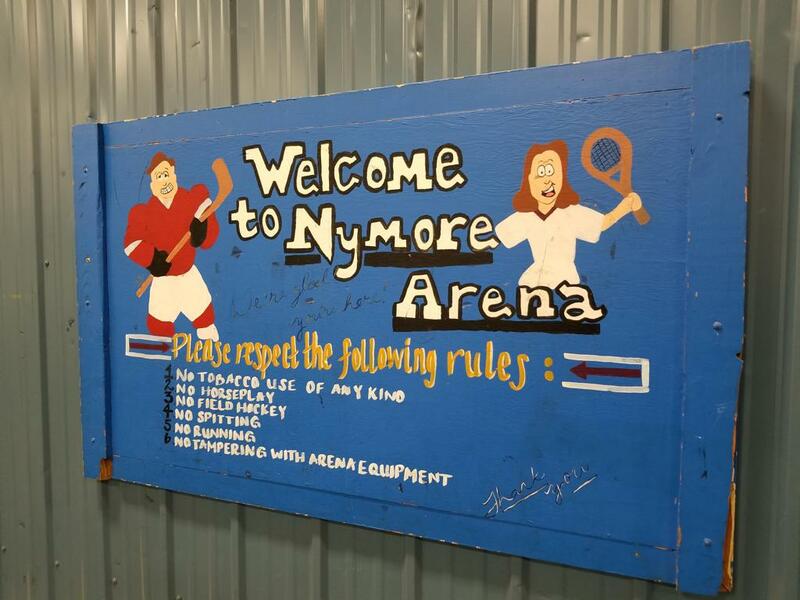 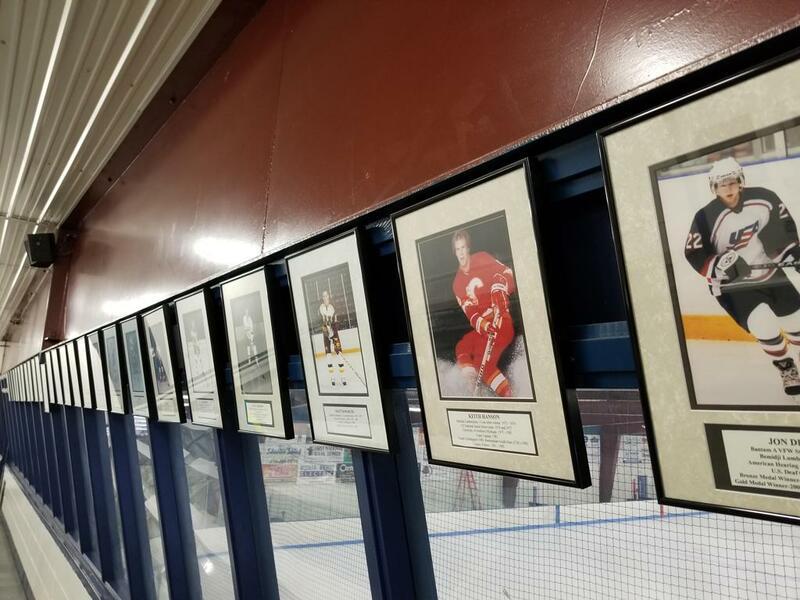 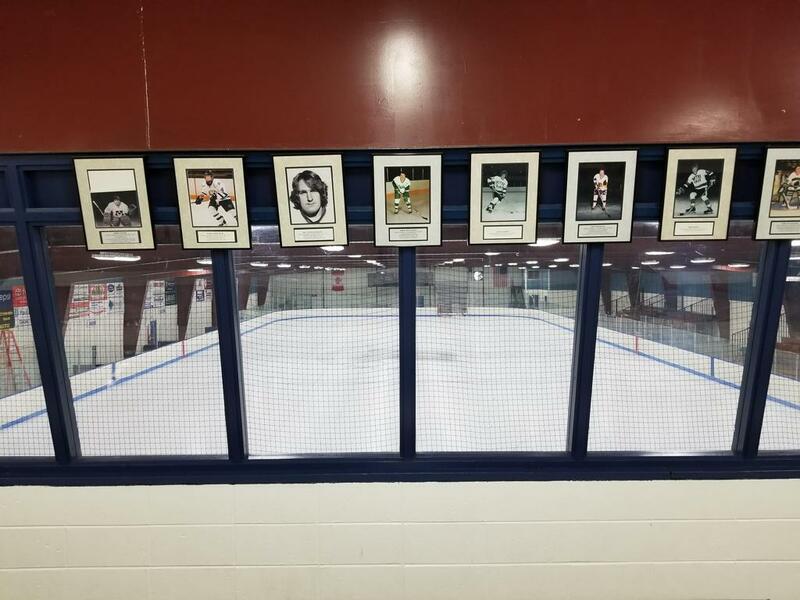 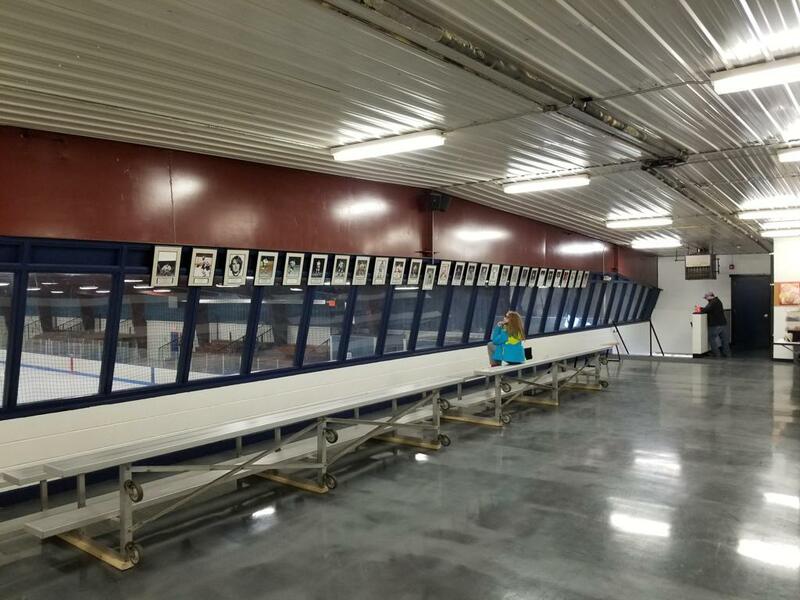 Nymore has seen many hockey legends including the Howe family, Sargents, Pelawa, DeMarchi, and many many more NHL alumni that once called Nymore home - that is proudly on display in the framed photos located in the upstairs heated seating area with a concession stand to watch that action. 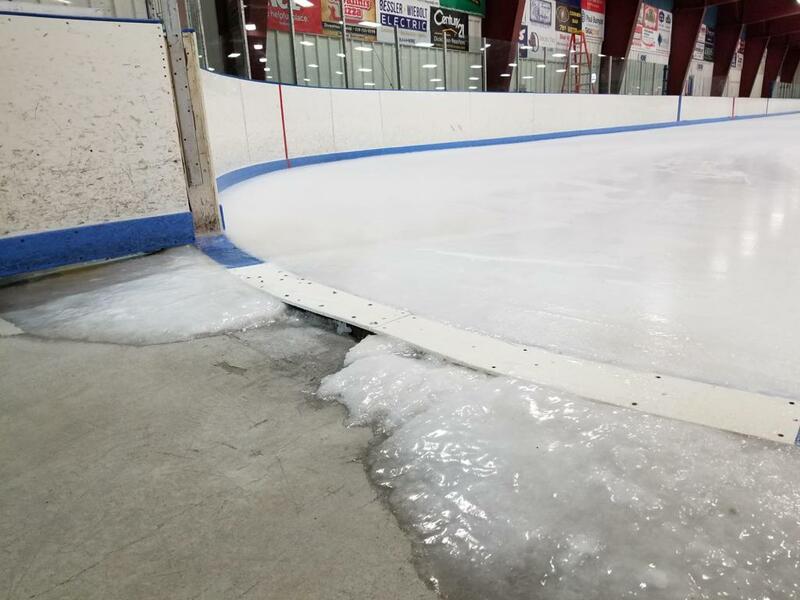 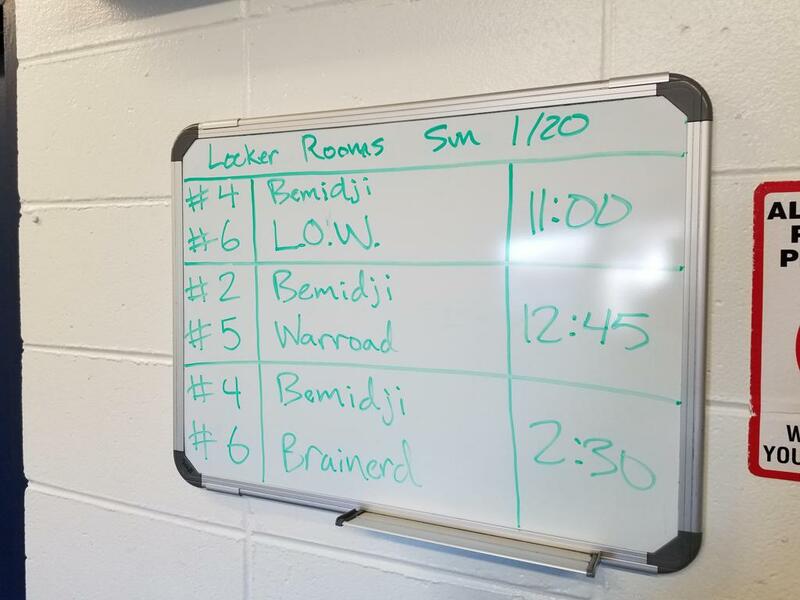 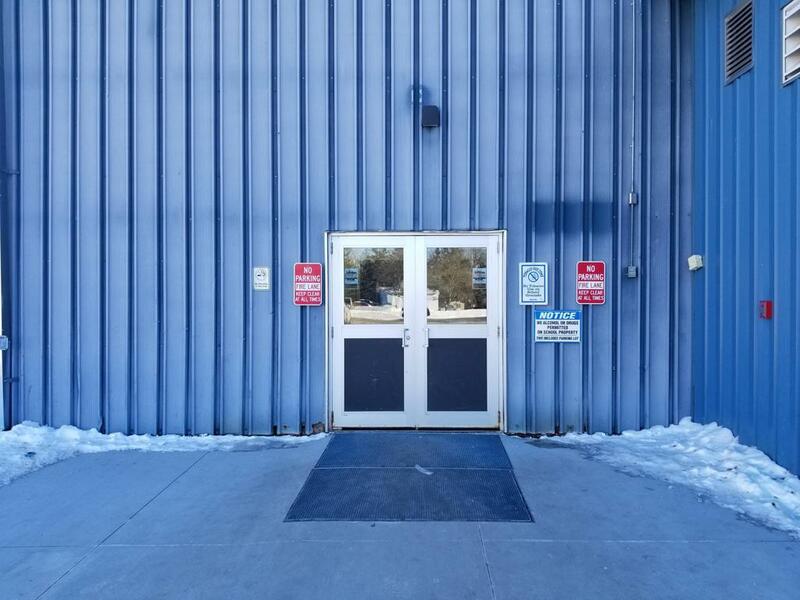 The Bemidji City Council, has struggled with what to do with the aging Nymore Arena, knowing all to well that upgrades to the 46+ year old building are needed - including repairing the roof "that tends to leak in the spring, and with a winter thaw" and also the aging ice plant that could go-out anytime with costly repairs needed. 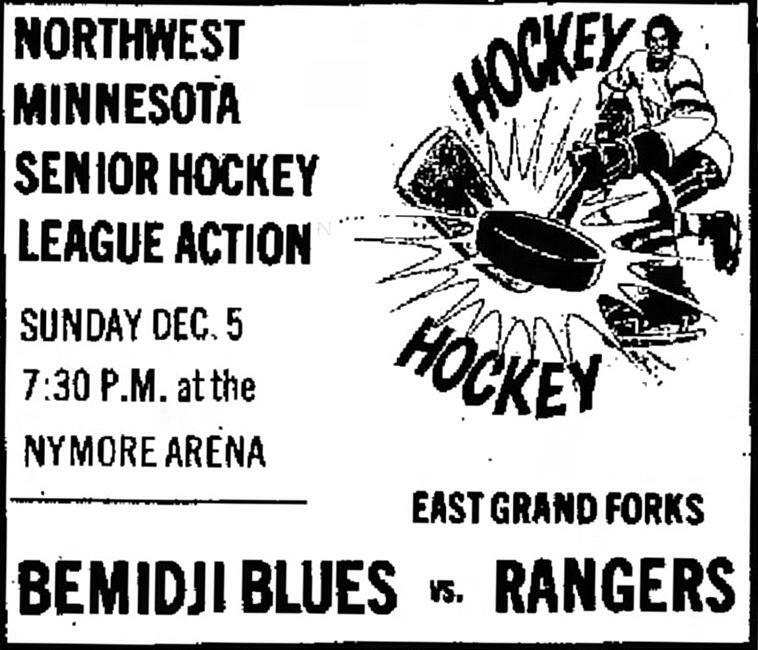 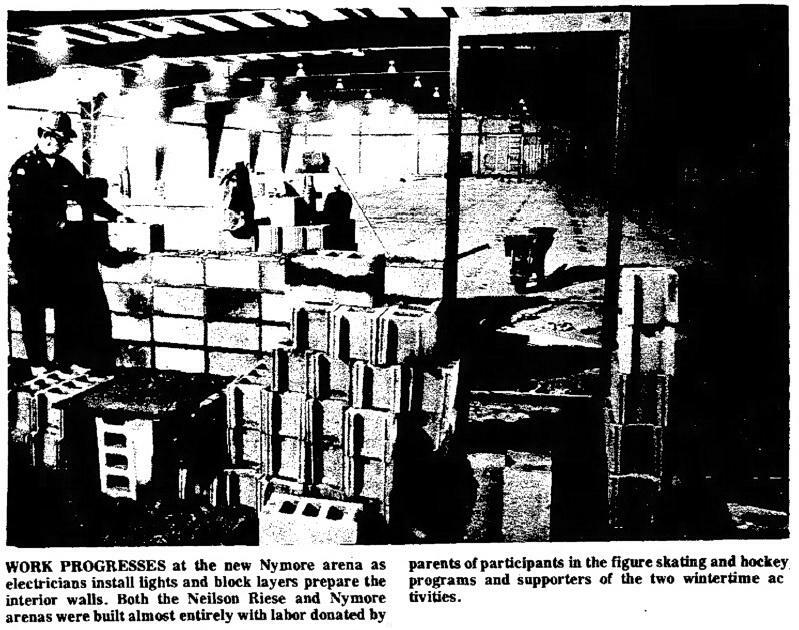 With Bemidji playing most of their games within the comfy confines of the newer BCA Arena, and nearby Sanford Center from time-to-time, Nymore maybe added to the list of once open arenas - that sadly closed. 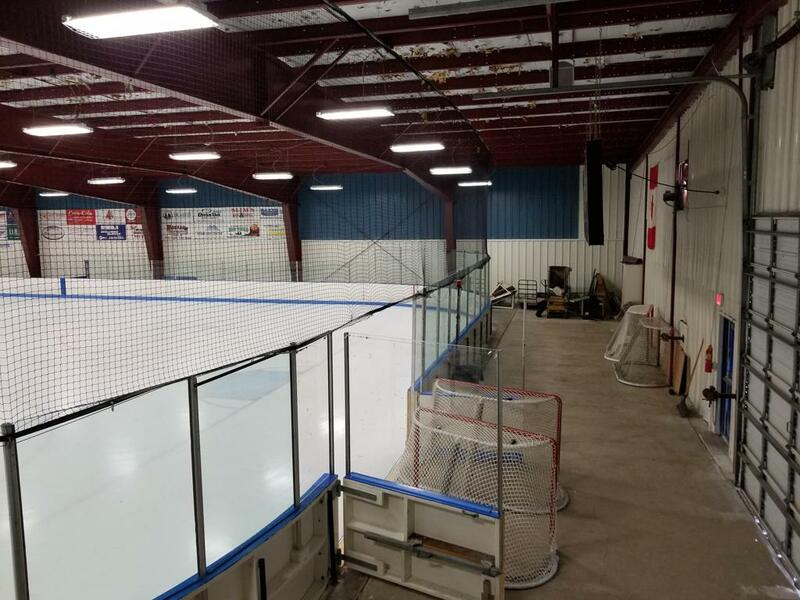 Time will tell for this building that certainly if the walls could talk - they would have stories to tell!